Booking an around the world trip (aka a ‘OneWorld Classic Award’) is undoubtedly one of the very best ways to use Qantas Points. Along with Emirates First Class, it’s my personal redemption of choice for using up my Qantas Frequent Flyer balance, and I recently completed an epic trip from Australia to the USA, Europe, Asia, New Zealand and back home using this strategy. In this post, I’ll share the essential information needed to book this Award and extract maximum value from your points. (updated as at July 2017). After all, loyalty deserves to be rewarded, right? What is a ‘OneWorld Classic Award’? The OneWorld Classic Award is a ‘capped’ award redemption that can be booked with your Qantas points. It covers a maximum of 35,000 miles of travel in Economy, Premium Economy, Business or First Class. It allows for up to 16 segments of travel with Qantas and OneWorld partner airlines. For keen world travellers, you can ‘stopover’ in up to five cities over a 12-month period. So if you’re clever with your routing – you can really maximise value! How many Qantas Frequent Flyer points are required to redeem for the OneWorld Classic Award? While this might seem like a lot of points, it’s surprisingly easy to increase your Qantas Frequent Flyer balance quickly. Right now, new card holders can earn an easy 50,000 Qantas Points with the AMEX Qantas Ultimate Card, plus a generous travel credit and lounge access passes. In my opinion, Business and First Class redemptions are by far the best value redemption options if you have enough points. You’d usually be paying significantly more than double or triple the cost of Economy on these fares if you were booking with cash. Note that First Class redemptions can be challenging to book due to the lack of award space on flights departing Australia with a First Class cabin. Can I book a combination of different classes of flights within the one Award (i.e. both Economy and Business flights)? Yes, you can, but do note that the booking is charged at the highest cabin – so if you have booked ten Economy Class flights and one Business Class flight as part of your Award, you’ll be charged the full 280,000 points for a Business Class Award. In some circumstances, booking a downgraded cabin for one or two sectors of your Award redemption is unavoidable. This might occur where there is limited Business Class availability, or for domestic flights in the USA, where generally, Business Class doesn’t exist, and only Economy and First Class travel are offered. What if my plans change – can I change my flight booking down the track? You can make changes before the trip has commenced. If you change any elements of your booking during the planning process, you will incur a Qantas ‘change fee’. This is currently 6,000 points per person. Economy booking changes may also be subject to a ‘service fee’. We recommend you keep a small stash of additional points aside to cater for any changes to your booking. (we’ll cover of the reasons you might need to incur a ‘change fee’ further down in this post). Are there restrictions on where I travel / the direction of travel? 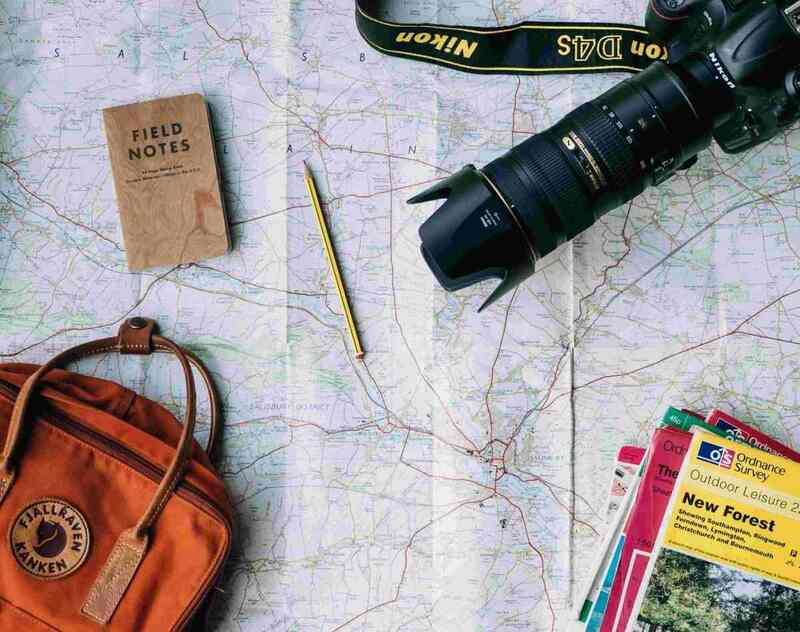 Unlike a traditional ‘around the world’ itinerary, there is no specific direction that you need to take with this Award – the only caveat is that you may only depart the first country on your booking once – you cannot backtrack through that country to get to another international destination. How far can I fly…Around the World? The booking covers you for a cap of up to 35,000 miles of travel, with up to 16 segments of travel and 5 stopovers allowed within that cap. It’s important to bear in mind that the miles cap includes ‘surface sectors’ (covered below). What is the definition of a ‘surface sector’? A surface sector is any land-based travel you might embark on as part of your trip, such as flying into London, then making your way via Eurostar train to Paris and flying out of Paris. This travel will still count towards your cap of 35,000 miles, so you need to factor this in to your overall planning. What is the definition of a ‘stopover’? A stopover is classified as a deliberate interruption of a journey by the passenger for more than 24 hours, at a point between the place of departure and the destination, which is shown on the passenger’s Ticket. So technically, if you wanted to be clever, you could consider stopping for less than 24 hours between two destinations (i.e. flying into Rio in the afternoon, then out the next day at lunchtime) in order to avoid this stop being classified as a stopover. Instead, it would count as a ‘transit’ for one of your 16 segments (though the idea of jetting to destinations for less than 24 hours is probably not that appealing to most people). What is the definition of a ‘transit’? A transit is classified as a scheduled stop by the passenger, for less than 24 hours. Can I stopover or transit more than once in the same city? You are only allowed to stopover once within each city, and you may transit up to twice through each city. How long do I have to complete the booking once I start it? Once your journey has commenced with your first flight, you then have 12 months to complete the booking. How do I go about booking the Award? Note that the multi-city search option on the Qantas website is notoriously difficult to navigate – so if you’re not especially confident, we’d suggest you book via the call centre. Do I have to book all the flights at once, or can I book in stages? You don’t need to book the whole Award at once. In order to book in advance as early as possible, you could choose to book a couple of sectors as they open up (depending on the airline, this is usually around 330 days in advance of travel), then add additional sectors. These additions will need to be made via the Qantas call centre. Note that each time you make a change, you will be charged 6,000 points as a ‘change fee’. I strongly suggest putting in the legwork to identify the flights you want to take before you seek to book. You won’t be able to rely on the MultiCity tool or the Qantas call centre to comprehensively plan your route throughout the booking process. Many people assume that Award seats for all OneWorld Alliance airlines can be viewed and booked via the Qantas website. Unfortunately, this is not the case. For example, it’s not currently possible to view Award flight availability for Japan Airlines (JAL) on the Qantas website – though this is set to change soon. Once you have signed up, you’ll be able to use both the JAL and Qantas websites to check Award availability in full (before booking via the Qantas website or call centre, of course). If in doubt, you can also call up the Qantas call centre and ask them to check Award availability. The call centre can advise you on flight availability for airlines you can’t see on the Qantas website. Remember that you’ll avoid paying a fee – so long as your enquiry doesn’t result in a phone booking. In order to minimise the payment of fuel surcharges for your OneWorld Classic Award booking, we suggest you check the applicable co-payment for each flight sector before you book. For the OneWorld Classic Award, given that you can fly up to 16 sectors, airline imposed fees for each flight can result in a significant co-payment for your overall booking. For a OneWorld Classic Award I organised with my husband a few years ago, I was able to restrict the co-payment for each ticket to under $500. This is incredibly low. I was able to minimise the cost simply by choosing carriers that pass on very low fees. As mentioned earlier, the OneWorld Classic Award booking is capped at 35,000 miles of travel. With that in mind, it’s very important to keep track of mileage as you plan your trip. For many travellers, a round the world trip will be at the top of your bucket list. And while booking one with points can be challenging, the steps above should help you to construct your very own OneWorld Classic Award journey. Navigating the rules can be daunting, and it can take a lot of planning. However, if you arm yourself with information and are prepared to be flexible, it can be done relatively easily. Not only that, but it’s also a fantastic use of your Qantas Points.